After many years, LFT returns to the Eastern Hemisphere with Le Franc Tireur No. 12 (LFT12) and its Asia/PTO focus. Though early issues of LFT featured some scenarios set in the East, the subject matter has been almost entirely neglected by LFT since then (with the exception of one scenario in LFT11). The return is certainly welcome. Though edited by a Frenchman and printed in Cambodia, the magazine content is in English. 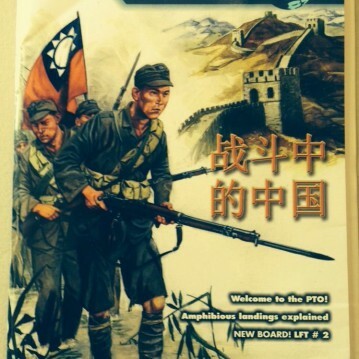 Its focus is on the PTO theme of the issue, and PTO-related articles include a historical article on Japanese island defenses, a historical article on the TO&E of a Chinese infantry battalion (although based on a not-always-accurate pamphlet by George Nafziger), a chronology of the Sino-Japanese War and Chinese Civil War, an AAR of HS16 (Sim’s Ridge), a basic overview of Japanese and PTO terrain rules (including some illustrated examples, though they include at least one mistake [knee mortars produce dispersed WP]), an overview of seaborne assaults/evacuations, a Series Reply of A79 (Mike Red, a seaborne assault scenario), a list of published seaborne assault/evacuation scenarios/CGs, and an AAR of the Gavatu-Tanambogo Campaign Game. Other content includes an overview of the Hexdraw map-creation computer program (it could have been longer and more detailed), an AAR of a few product reviews and tournament reports, and a “10 questions” style interview with Swedish ASLer Klas Malmström. Some of the content is quite good–especially the Seaborne Assault series replay–but some of it was not up to par. This included the AAR of the ESG scenario “Destroy All Monsters,” which unfortunately was not very well written or organized. The “goodie” in the magazine this issue is a geomorphic mapboard. Or perhaps one should say quasi-geomorphic map, because (like the map in LFT11), it is a specialized map rather than a “standard” geomorphic map. This map, LFT2, depicts a massive 5-level hill that is not fully contained by the mapboard–the hill goes all the way to the map edge on three sides. This means that it is really only compatible with other boards on one side (though it is possible to link maps to the other side by “pretending” that level 5 of LFT2 is level 0 of the other board). This, combined with the fact that LFT2 only presents one side of the hill (not allowing any rear slope defenses nor much summit fighting), means that the board is a very specialized board that will only see limited use. Unfortunately, the map was misprinted and is not quite the right size, rendering it unusable in any scenarios that combine LFT2 with another board. 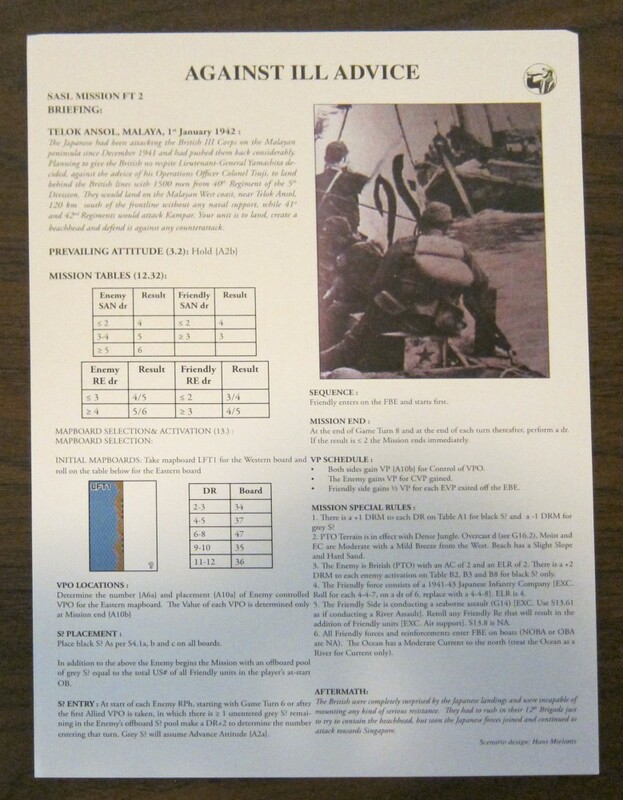 The problem was spotted and corrected, but not before many copies were sent out. Essentially, if one buys a new copy directly from LFT as of February 2010 or later, the copy will come with the corrected version of the map (some people have complained that the corrected version has colors that were too lightly printed, making it difficult to see hex center dots in grain field hexes). However, if buying from a retailer or a secondhand copy, be warned that it may be a copy with a flawed map. For purchasers of the early, flawed version, LFT has announced it will include copies of the map in a future product. For people interested in creating their own homemade “fixes,” one ASLer noted that the map was 7mm too long and scanning the map and reducing the length by 98.76% should probably make it compatible. Update 2010: LFT also included the fixed version of board LFT2 in their From the Cellar Pack 5. One scenario, FT138 (Meeting Up at Matan) uses board LFT2 by itself. Another scenario, FT142 (Cut, Slash and Mow Down) uses LFT2 and another board. Probably the most interesting thing about the 10 included scenarios in LFT12 is that, though the scenarios are set in Asia, few of them are set in PTO (i.e., jungly) terrain. 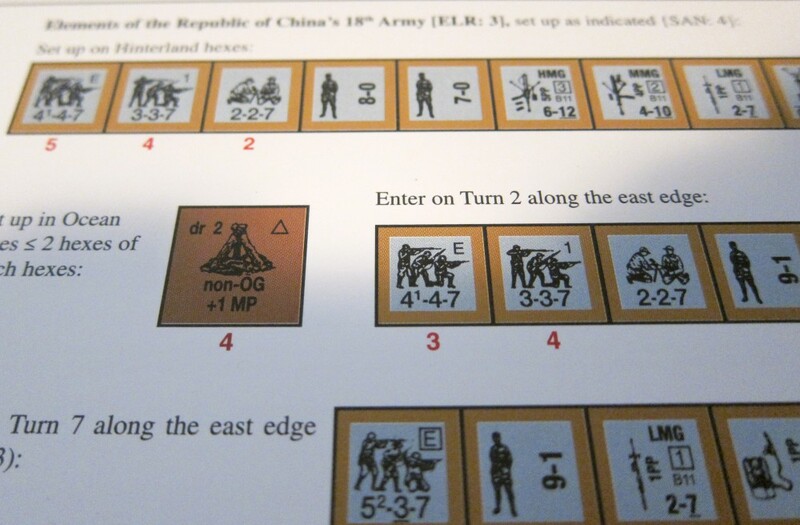 Of the 10 scenarios, 7 are set in China (including 3 scenarios set during the Chinese Civil War in the late 1940s). This focus on the Chinese is a welcome addition to the ASL oeuvre. 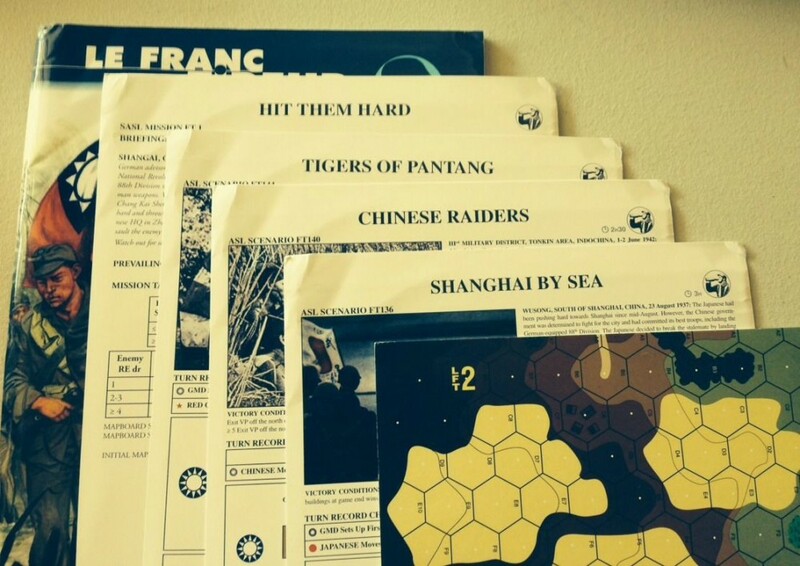 Two of the scenarios, FT136 (Shanghai By Sea) and FT145 (Bears of Kinmen) use map LFT1 from Le Franc Tireur #11. One scenario, FT139 (Ride of the 200th), uses maps HOB-I and HOB-II from Heat of Battle’s High Ground! pack. Six of the 10 scenarios are small- to medium-sized, while the remaining four (including all of the Chinese Civil War scenarios) are large. Two scenarios are Seaborne Assaults; two scenarios have OBA. No scenarios use Night rules or Air Support. As is often the case with Chinese actions, source material is scarce (leading many scenario designers to design scenarios on the same action) and often inaccurate. FT139 (Ride of the 200th), for example, depicts the Chinese counterattack at Kunlun Pass in late 1939, a local Chinese victory. The scenario centers on an attack of a unit it calls the “200th Armored Division,” ostensibly under the “38th Army.” However, the Chinese never had an armored division. The 200th Division was organized as a Soviet-style mechanized division; however, considerably before Kunlun, its tanks were taken away (to be put under the control of its actual parent formation, 5th Army), leaving the 200th as a motorized division (though sometimes it would have tanks attached). The regiment designations in the scenario are also totally fictitious (Chinese regiments were numbered after their divisional number x 3, counting downwards: the 200th Division thus had the 600th, 599th and 598th regiments). 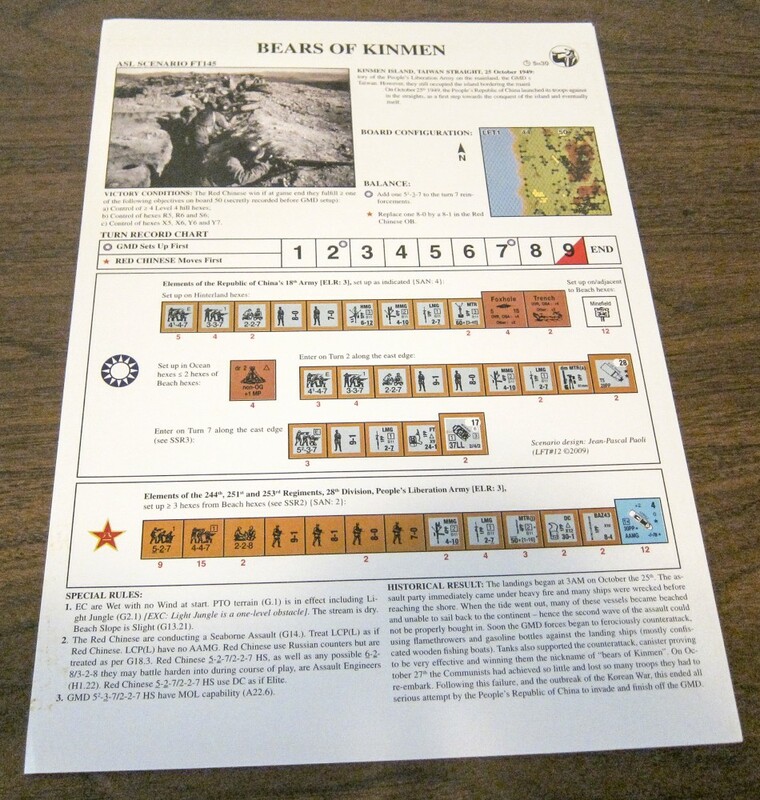 However, leaving such historical considerations aside, a number of the scenarios depict interesting situations, perhaps the most interesting of which is FT145 (Bears of Kinmen), a scenario depicting a Chinese communist attempt to take the island of Kinmen in the Taiwan straight in the closing phases of the Chinese Civil War. This scenario depicts 24 5-2-7 and 4-4-7 squads, well armed, conducting a Seaborne Assault against 19 Chinese squads (5-3-7, 4-4-7, 3-3-7) and a couple of Stuarts. In addition to the scenarios, LFT12 also features 2 SASL missions, both designed by Hans Mielants, which will be well received by the mission-starved SASL lovers out there. 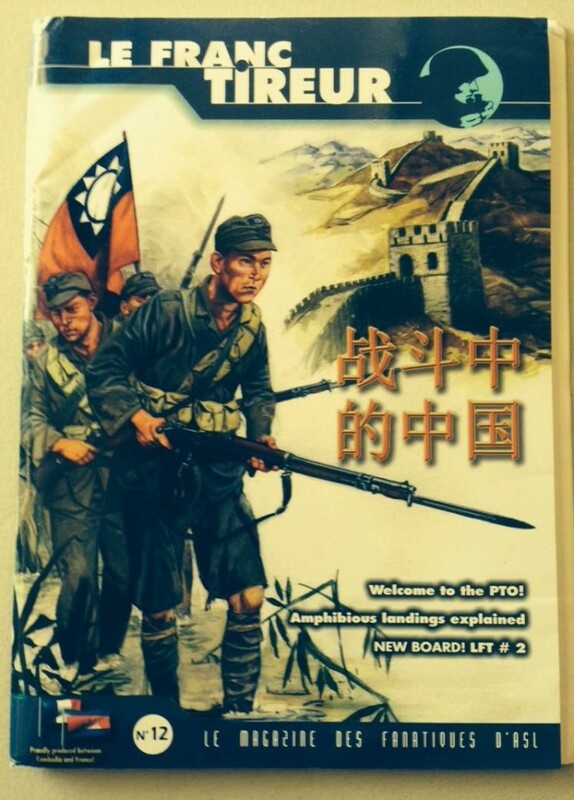 FT1 (Hit Them Hard) depicts a Chinese attack on Japanese positions in Shanghai in 1937; FT2 (Against Ill Advice) is a Japanese seaborne assault against the British in Malaya in 1942.